We appreciate your interest in our natural products and welcome the opportunity to work with you. We request that Retailers and sales representatives who are interested in distributing Nuwati Herbal products complete the information form below. Upon receipt, you will be contacted by email with wholesale pricing information. If you would prefer to have a pack of wholesale information sent to you by mail just let us know. 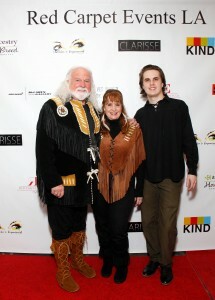 I am Metis (Cherokee and Scots-Irish) have personally developed our products from “recipes” influenced by my Cherokee ancestors. Despite by ancestry, none of the Nuwati product line represents ‘Indian Products’ as defined by law. 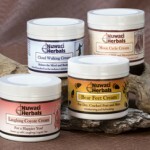 The Nuwati line consists of natural herbal products designed to actually “do” something. They help promote Healing, Healthy Skin, Relaxation, and Energy. 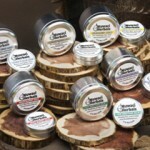 We produce five lead product lines; Herbal Teas, Herbal Bath Salts, Herbal Bath Bags, and Herbal Balms and Body Oils. 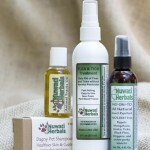 We also have Soaps, Natural Insect Repellent and a line of Pet Products. With fun and interesting names like Moccasin Tracks Balm, Indian Blanket, The Warrior, Going in the Cave, Share My Blanket, etc. customers are inspired to reach for our products. The packaging is interesting and earthy…appealing to both men and women. 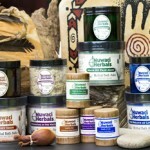 Produced in the St. Louis area, Nuwati Herbals are now available across the USA, Bermuda and Canada. The line works especially well where business owners want to offer customers a unique line of products. The Nuwati customer base is diverse. The products can currently be found in Gift Shops, Native Stores and Museums, New Age Stores, Coffee and Tea Houses, Spas, Airports, Health Food Stores and Wellness Centers, Park and Resorts, and more. We also strive to keep our products affordable. There isn’t a product over $10.00 wholesale in our line. You can order any amount of any product that works for your needs. The only requirements are an opening order of at least $100 and a $50 minimum on subsequent orders. After you review the information, we can chat about what would work best for you. We don’t tell you how to run your business. We just try to make it as easy as possible for you to sell our products. Despite my ancestry, none of the Nuwati products we produce are represented to be ‘Indian Products’ as defined by law. Nuwati Herbals is proud to be featured at numerous Red Carpet Events at The Grammy Awards, The Teen Choice Awards, The Oscars and the Screen Actors Guild Annual Health Fair. 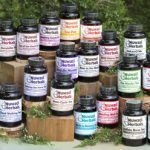 NOTE: NUWATI HERBALS solicits retailer information solely for its own use in establishing necessary data for an efficient mutual business relationship. Any information submitted to NUWATI HERBALS will remain in strictest confidence and absolutely no part of the information will be divulged for any purpose without the consent of the submitting party.